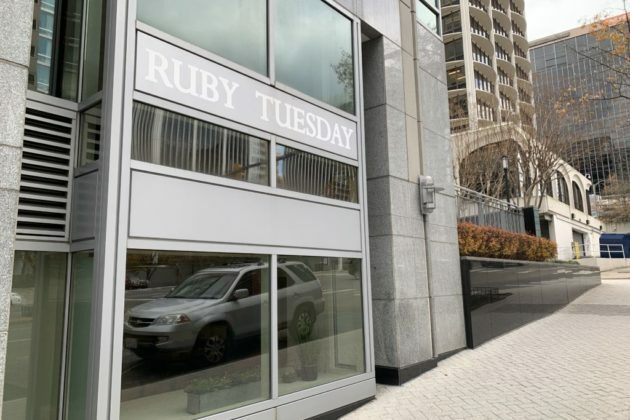 Ruby Tuesday in Rosslyn, which has closed. Signs at Ruby Tuesday in Rosslyn, which has closed. 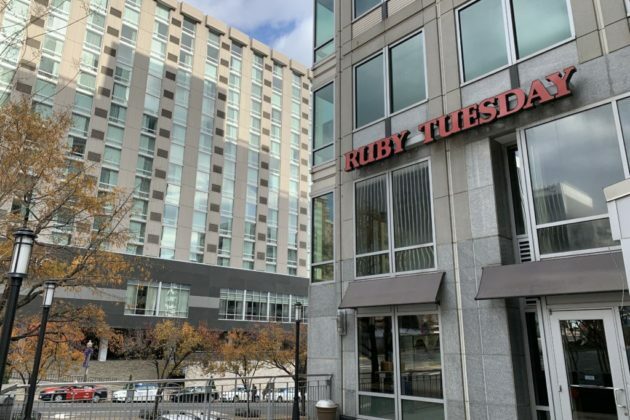 The Ruby Tuesday restaurant in Rosslyn has closed. The eatery, located on the first floor of an office building at 1300 Wilson Blvd, now has signs posted informing would-be diners that the location has shut down. The signs encourage people to head to the chain’s location in Bailey’s Crossroads, at 5880 Leesburg Pike, instead. The restaurant’s website also shows two locations in Alexandria. 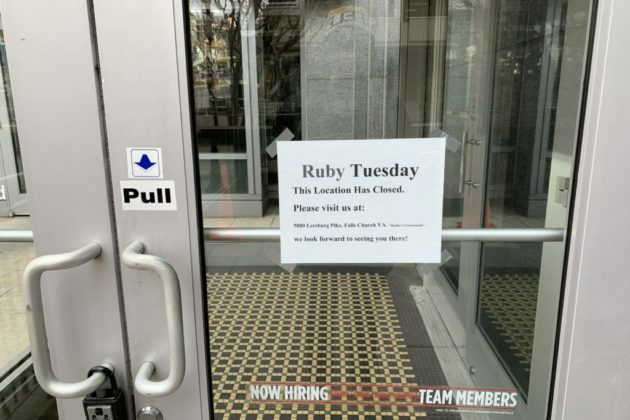 A tipster first informed ARLnow of the restaurant’s closure yesterday (Wednesday), saying that employees in the building noticed that the Ruby Tuesday “closed suddenly” this week. County permit records don’t show any applications for new businesses in the space, as of yet.